Elise was a successful teacher of inner-city kids for over 20 years before starting her writing career. She now lives in Florida. 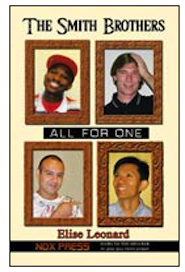 All for One is the first book of The Smith Brothers series: MEET THE SMITH BROTHERS. Four Brothers, all adopted, and all in the family business. They decided to open up a detective agency. Will they be able to solve their first case? Can they do it without killing each other? And why do they buy so much air freshener? Published: 2009. All the books in this series are 100 pages (+/-). Contains approximately 8,100 words. ISBN: 978-1-935366-12-6. All books are Lexile 1 & 2. 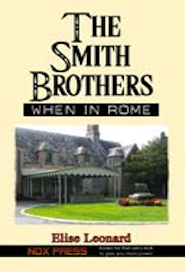 WHEN IN ROME is the second book of The Smith Brothers series. The guys are headed to Rome. (Rome, NY, not Rome, Italy.) Find out what happens in the car. Find out what happens in the hotel. Find out what happens in Rome. Find out if Rome survives. 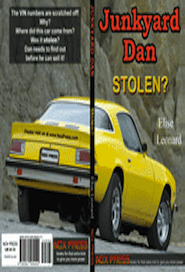 STOLEN is the third book of the Junkyard Dan series. The VIN numbers are scratched off a car. Why? Where did this car come from? Was it stolen? Dan needs to find out before he can sell it! 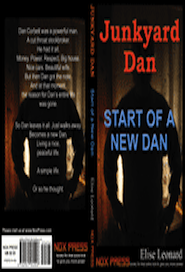 START OF A NEW DAN is the first book of the Junkyard Dan series. Dan Corbett was a powerful man. He had it all. Money. Power. Respect. Big house. Nice cars. Beautiful wife. But then Dan got the note. And at that moment, the reason for Dan’s entire life was gone. So Dan leaves it all. Just walks away. Becomes a new Dan. Living a nice, peaceful life. A simple life. Or so he thought. 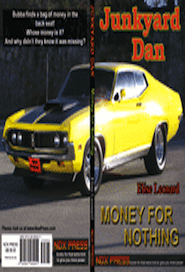 MONEY FOR NOTHING is the sixth book of the Junkyard Dan series. Bubba finds a bag of money in the back seat! Whose money is it? And why didn’t they know it was missing? 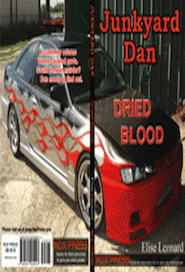 This is the second book of the Junkyard Dan series. A customer returns blood-covered parts. Could it mean murder? Dan needs to find out!